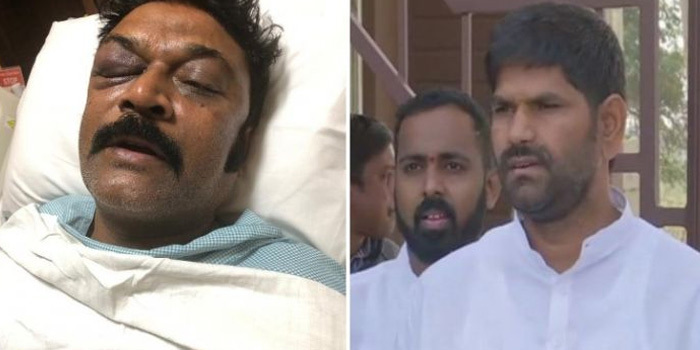 Congress MLA JN Ganesh is likely to be summoned by police and get arrested following being accused of allegedly thrashing his party colleague Anand Singh at a resort here following a brawl. This comes after Singh filed an FIR against Ganesh on Monday. The case has been booked under non bailable section. In another blow to the accused MLA on the same day, the Congress suspended him from the party. Ganesh had, however, apologised earlier to the family of MLA Anand Singh after the latter was hospitalised on Sunday. Singh is a legislator from Vijayanagara Assembly segment in Ballari district. The duo allegedly got involved in a heated argument on Saturday at a resort near Bengaluru where the Congress party sequestered 76 lawmakers ‘to protect them from the BJP’. This gave an embarrassing twist to the party’s bid to keep its flock together.